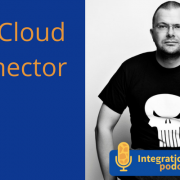 In this episode, I have Pontus Borgström how is Integration Architect at SKF and a part of Swedish User Group and the International Usergroup for Integration. 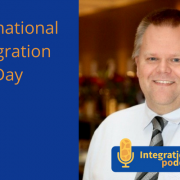 In this episode, we will talk about the integration day and the IFG Integration survey. 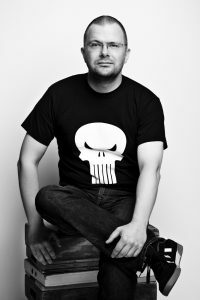 I think it is some interesting concepts so I’m thrilled to share them with you. I’m also a part of the International Focus Group for Integration (IFG) and is helping out with the community. One of the goals is to expose integration experts and architects for different approaches for how integration is done. We normally don’t get out and get inspiration from other sources so it is seldom we try to organize everything self instead of learning from others. 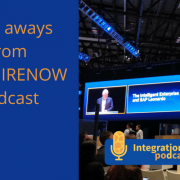 On the days you will be exposed to how other people approach integration and how to deal with it. There will be two days 5 and 6 of November 2018. Day one is a focus on hands-on sessions. Here you will be able to get an a little deeper understanding of some of the technologies. For some session, it will be possible to try it on your own system if you bring your laptop. 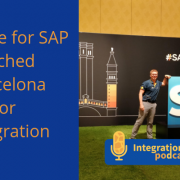 Day two is a focus on more concepts a is the day where you will get some ideas about all the things happening in the world of SAP Integration. So a lot of Roadmap sessions. 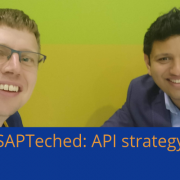 We know that it is close to SAP Teched but the focus is more on what users are currently doing instead of the focus at Teched on the future products. Figaf is a sponsor of the event because I think it is a good way to get people to learn from each other. The price is from 100 EUR per day so it is really cheap. You can view more about the agenda at the SAPSA site, and resister for it. One of IFGs other projects is the Survey on what users are doing. IT is used heavily by SAP to understand users and accept their decisions. This year, the 10th annual survey contains 36 questions. It takes about 10 minutes to fill in. Today on the show I’m happy to welcome Gayathri Narayana onto the show. 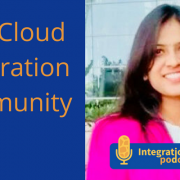 Gayathri Narayana is a product manager for SAP Cloud Platform Integration and IoT. 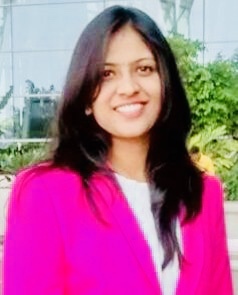 She focuses on digital engagement, partner ecosystem, product roll out, cloud integration community and product definition. 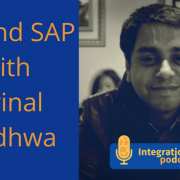 She has 10 years of experience in SAP integration technology and has led customer engagement initiatives, moderated MOOC courses like openSAP and is a regular speaker at conferences such as SAP TechE d.
On the show, we cover the following things. 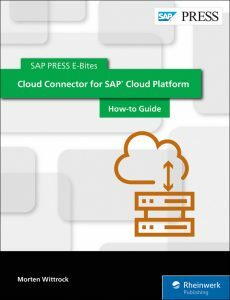 Blueprint is proven guide from SAP for solving real-life business problems leveraging the cloud platform and its various services. They give a pretty good overview of the components involved to do a specific objective that covers multiple services. 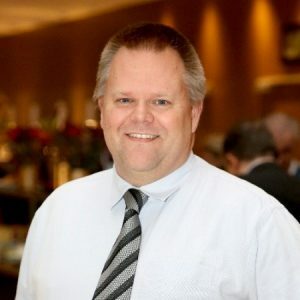 Like the Automating Employee Onboarding Processes document, that covers SuccessFactor, S4 HANA and the SAP Cloud Platform for Integration and Workflow. There is also a number of interesting ones for the security with the cloud platform. The number of internet connected devices continues to grow daily. But managing that huge increase in information is no easy task. 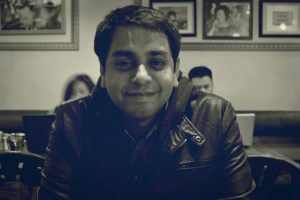 That’s why I wanted to invite Mrinal Wadhwa, the CTO of Fybr, to join me on the show this week. Fybr has been developing a number of IoT (Internet of Things) devices that are usually wireless low power units that can be installed in remote or hard to access places. One of the first devices they created was a hockey puck sized device that can be installed in individual parking spots. That device then connects to a central server to show if a parking spot is occupied or not. The devices don’t communicate with one another in the physical world because that would take too much power. Instead Fybr has developed the idea of a “digital twin”. The twin of the device exists on the server side and that allows all of the information collected by the individual devices to be shared across the network. Developing those digital twins allows the user to create “business rules” for each device. You can tell the device when to go to sleep and when to wake up. You can also change the amount charged for a parking space during different times of the day. Whether those rules live on the server or on the device itself is decided based on the application. One of the biggest issues in IoT development is over the air updates. A new business rule has been created and the company wants to push that code to the device. There is a fundamental problem, though. If you are constantly updating devices with new code and you make an error you run the risk of bricking the devices. Fybr has solved this problem by creating a tiny virtual machine that lives inside FybrLyn’s. Because it’s a virtual machine that is independent of the actual hardware code it functions as a sandbox. You can push business logic to the edge on a regular basis without fear of harming communication with the remote device. Fybr’s system specializes in low power wireless devices but that’s not the only kind of IoT device. A customer may have powered devices or large manufacturing machines as well. The SAP Leonardo IoT is very well positioned to bring all that data into one place. The IoT created some required steps that should be performed. 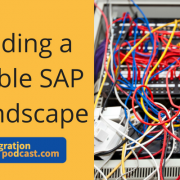 This could be to send a service technician to perform work, this would require a work order and here SAP would be integrated and handle those actions. Or it could be the new sales order to a printer ink that needs to be purchased and sent. As IoT continues to expand there are huge hurdles to overcome. If Fybr’s parking sensors were deployed in every parking spot in America it would require hundreds of millions of devices. The scale of that information will be incredibly challenging to manage. There are also security challenges that have to be solved. A connected machine in a manufacturing facility is very well guarded. It’s very difficult to access that machine. But a smart city sensors are installed on streets. Someone could spend hours trying to access the sensor without anyone knowing. The sensors will have to include some kind of encryption key. Anyone could steal the device and figure out the key. If a device cannot keep a secret than how can you trust if the device is providing accurate information? That is a huge challenge that is hard to solve for many smart infrastructure applications. Fybr has tried to solve it by carefully monitoring the life cycle of each key in each device. Mrinal says IoT is a big challenging world. There are a number of unresolved problems. And there has not yet been very large scale deployments. 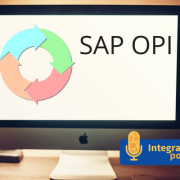 There is tremendous possibilities in this space by combining traditional SAP knowledge with this new class of devices.